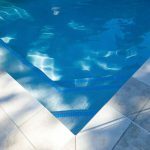 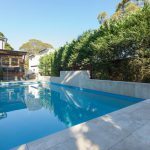 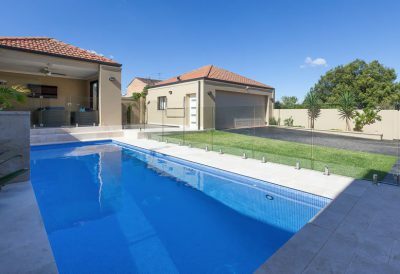 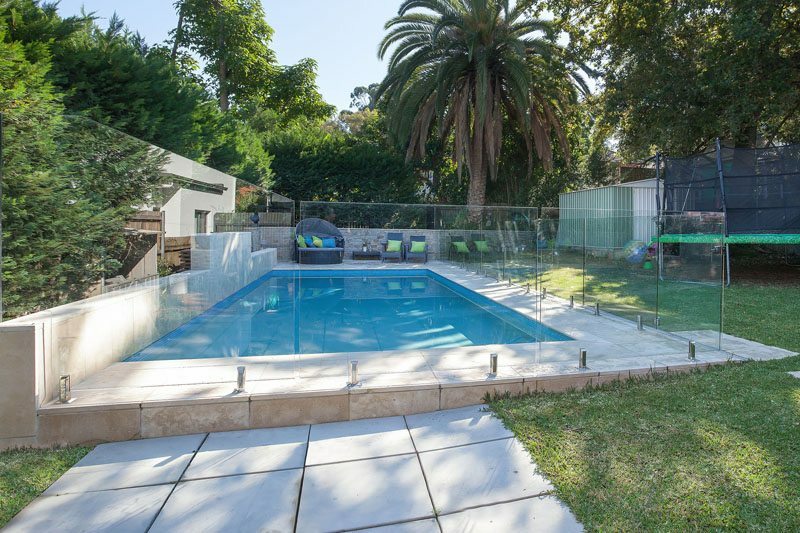 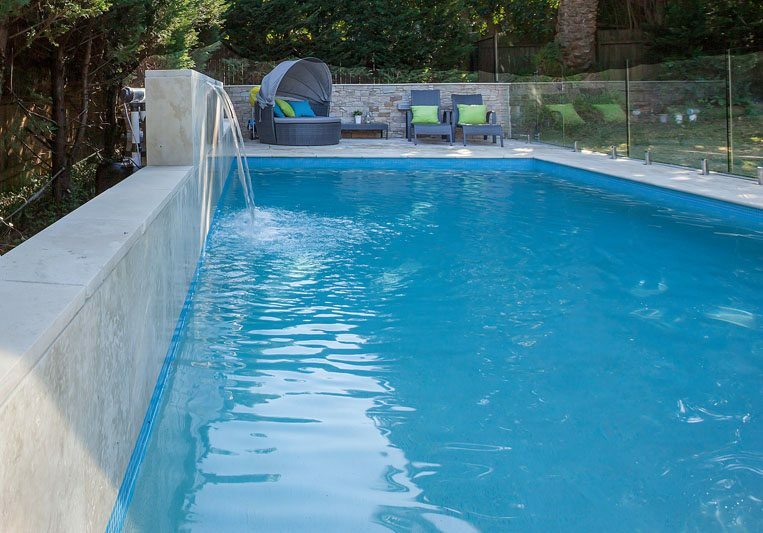 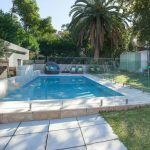 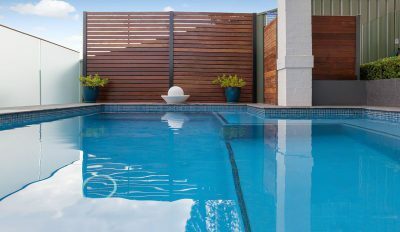 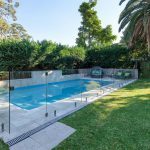 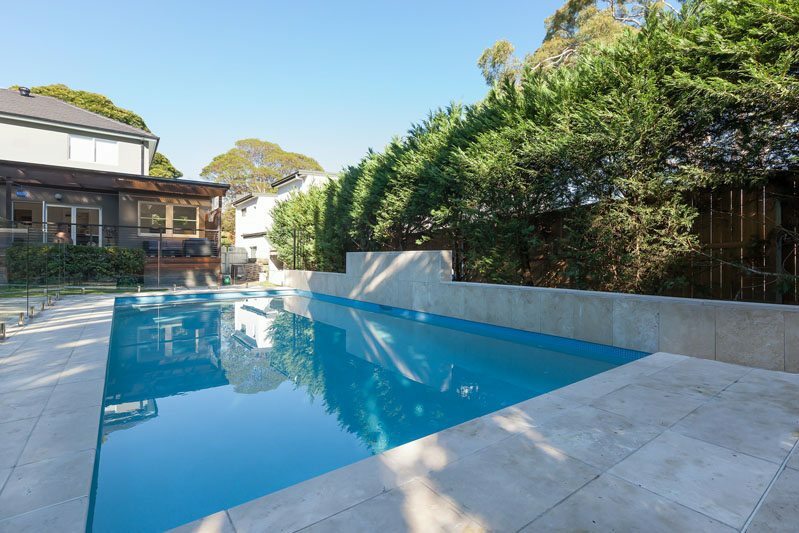 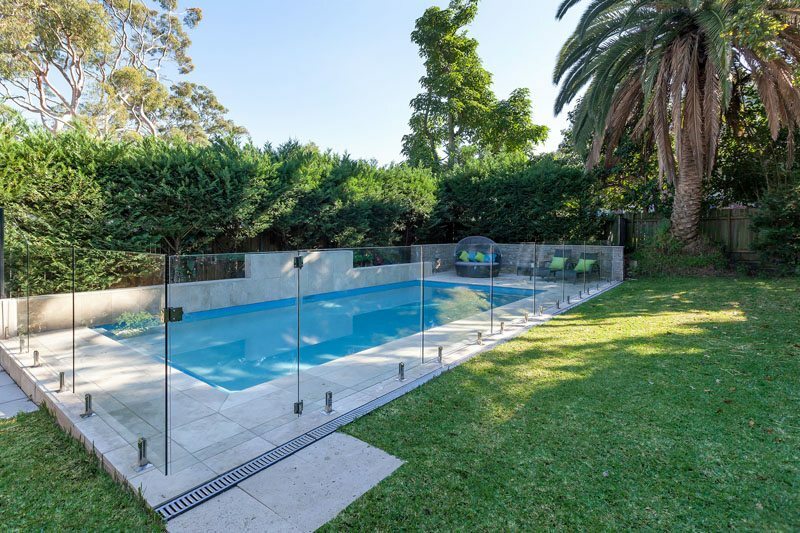 This peaceful Lane Cove swimming pool was designed by Andrew and features a beautiful infinity edge feature that adds the tranquil sight and sound of water flowing to the atmosphere. 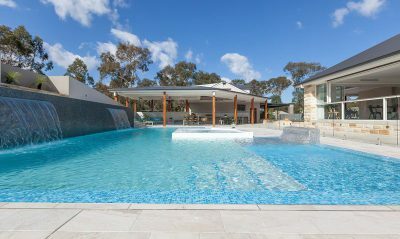 The interior colour is a custom Blue Haven mix which was created to achieve a very soft, natural blue. 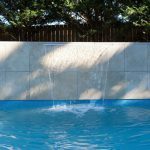 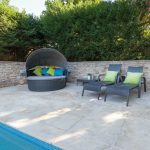 The pool setup alsoincludes a beach area with jets for ultimate relaxation and a coping width of 200mm which blends seamlessly into the surrounding cream paving and up the feature wall that houses the waterfall. 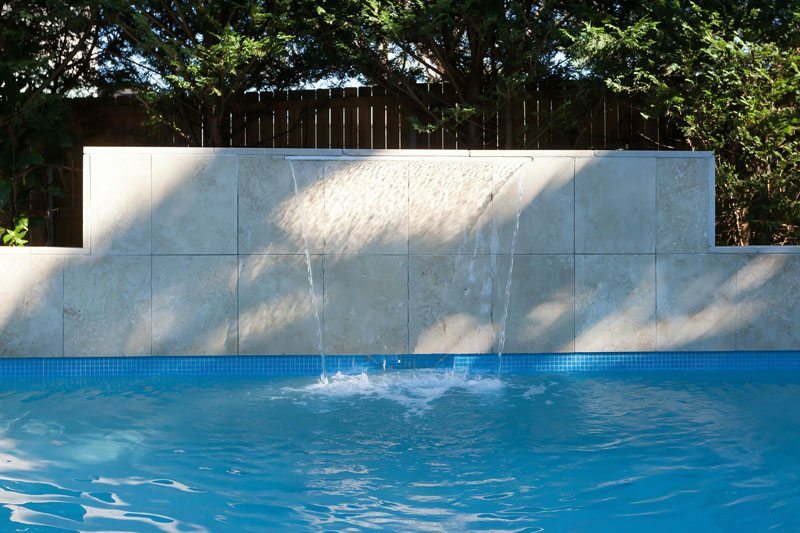 For this design, we opted for a saltwater cleaning system. The system converts salt into chlorine, keeping the pool clean with reduced chlorine levels that are easier on your skin and swimwear. 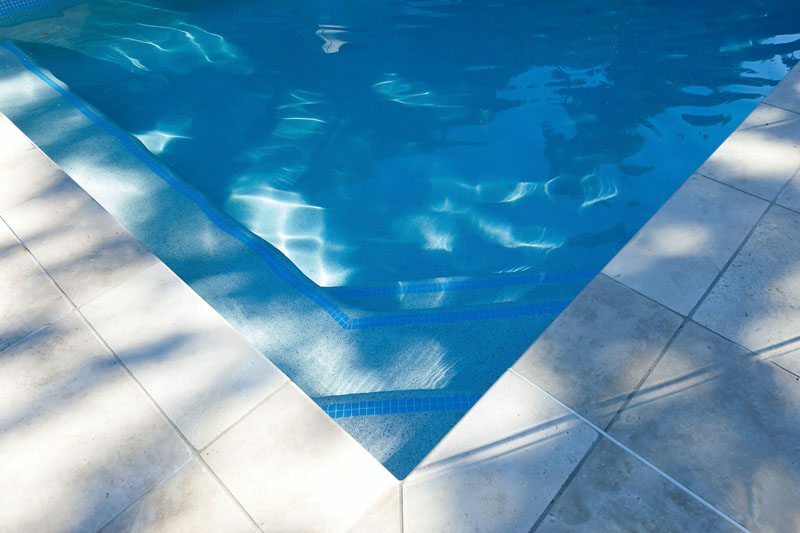 To extend the swimming season when cooler weather arrives, we also installed an astral gas heating system to keep the water at a comfortable temperature.